Making your way to Washington DC from the BWI Airport isn’t so hard if you know how. In fact, there are a lot of options out there that you can choose from, each with their own pros and cons for taking them. 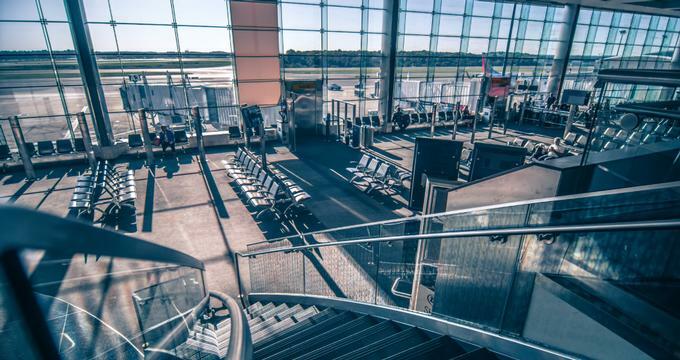 Although BWI isn’t as convenient a location as the DCA or Reagan Airport, there are still many ways you can make it to the nation’s capital without too much hassle. First on the list is the train, which is in fact the most practical and thus popular mode of traveling from BWI to DC insofar as public transport is concerned. The Amtrak and MARC trains will pick you up from the BWI to DC’s Union Station. The BWI also has shuttles at the train station that will take you to the terminal for free. MARC. This is a pretty easy way to get from Baltimore to DC. The trains take approximately 35 minutes to make it from one end to the other, making only four stops along the way, so it’s a pretty fast mode of travel as well. The train also runs every day all week, so you’re sure to have this as a reliable mode of transport no matter what day of the week you arrive. As of February 2018, the one way trip costs $7 each. You can get tickets from the Amtrak Quik-Trak vending machines. You can also get them from traditional ticketing offices. You can also opt to purchase tickets when you’re already on the train, but you have to pay a $5 surcharge on top of the ticket price. All in all, MARC is a very cheap and reliable form of transport. The only downside is that there are times when the train runs late on Sundays. You also don’t want to stay out late, as the train offers no late night service. Amtrak Train. Head over to the BWI Marshall Rail Station to take the Amtrak train to DC Union Station. There’s a free shuttle service from the airport to the station, but you might have to pay a bit more compared to the MARC. Ticket prices will vary depending on the time you choose to travel, but the price ranges between $15 to $45 per way. Last minute tickets and those purchased during rush hour can also be more expensive. - Saver - offers the cheapest rates, but doesn’t recognize discounts for AAA members, senior citizens, or students. They’re also non-refundable. - Value tickets have a limited refund policy. They recognize some discounts as well. - Flexible tickets are completely refundable and will recognize all discount programs. - Premium tickets are undoubtedly the most expensive, but they have all the benefits of a Flexible ticket and will give guests access to the business and first class areas. Amtrak trips are just as quick as MARC trips, if not faster, running between 20 to 30 minutes. A train leaves once every 10 minutes, starting from 3:00 AM to 10:00 PM.Note: Not all Amtrak trains allow for checked-in baggage, so make sure you check your ticket’s details to make sure. Much like MARC, the Amtrak train is a very reliable means of getting to DC from BWI, but offers more convenience and a bit of luxury in exchange for more expensive rates. Another option among public transport is the Metrobus service from BWI to Washington. You’ll have to take the bus from BWI to the Greenbelt station and then to the Union Station, which approximately takes an hour in all. There will be a bus that travels to DC every hour starting from 6:00 AM to 9:00 PM. Unfortunately, the bus doesn’t operate on weekends anymore. The trips cost only $6 per way, making it just as cheap as the MARC train rides. It is, however, one of the slower means of traveling to DC. If you’re looking for something that takes you door to door, you might want to try booking with Go Airport Shuttle. They offer 24/7 pickup at the airport and you can either get a private car or a van that’s shared with other passengers. You can even take a limo! The good thing about this service is that the pricing is upfront, which means you know how much you’ll have to pay upon booking. This is a good choice for people who have lots of luggage with them. Those traveling with kids can also ask for car seats and those who bring pets can order a kennel. You also have the option to tip in advance. The service, however, may take some time depending on the traffic at the time of the pickup. An alternative shuttle service would be the SuperShuttle, which is more ideal for those who are traveling with a large group or the family. Just like Go Airport Shuttle, you can opt for a shared van or the non-stop private van, with the latter being more expensive. If you want something extra, you can opt for an ExecuCar, which gets you an SUV with door to door service. Rates can vary greatly depending on the actual type of service you get. There are trips that cost $37 per person while the more luxurious services cost as much as $113. The best way to check for the actual price is to visit their official website. The obvious advantage to this option is that it’s ideal for large groups and guarantees a comfortable ride. It’s easily the most expensive option available. Fora cheaper door-to-door service, you can always hail a cab or get an Uber or Lyft. The trips to DC from the BWI would cost about $90, which is a cheaper option to the private shuttles, but more expensive than the public transport options. The prices tend to fluctuate depending on traffic. Trips run up to an hour on average. Since there’s no single best way to travel to DC, knowing the options above will definitely help you plan your next trip to DC accordingly.